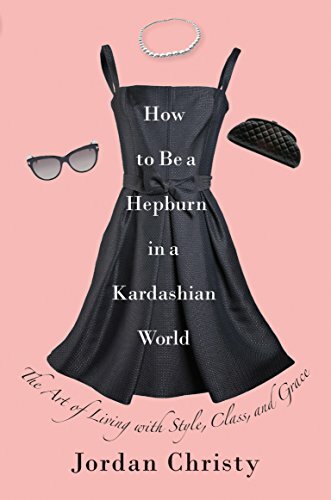 Jordan Christy shares advice on how to be the most confident version of yourself, in this fully revised and updated edition derived from How to Be a Hepburn in a Hilton World. Though fashions may change, certain things never go out of style--like your favorite little black dress that can take you from a business meeting to a dinner party to a night on the town. But what makes it work is not the dress, it's how you present yourself while wearing it. A woman who is polite, well spoken, gracious, charming, and thoughtful is always welcome-though such women appear to be in short supply these days! Despite the headline-grabbing antics of certain flashy celebutantes, most of us would rather have respect--for ourselves and from our family, friends, and colleagues. In this fully revised and updated edition, you will learn how to: Appear polished without sacrificing your personal style, Develop skills and discover interests to boost your self-confidence, Find your true friendships and make them stronger, Date Mr. Right instead of hooking up with Mr. Right Now, Land the perfect internship and your first job, Have a fun night without the risk of a social media faux pas. With this insightful guide you'll be loving life with style, class, and grace in no time!